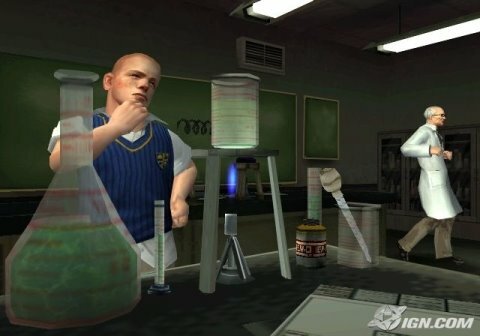 In true Rockstar fashion, Bully will have an ongoing Schoolwork-type mini-game in which you can earn certain gameplay upgrades and features. With this ongoing minigame, you'll have to keep up with and pass tests in certain core subjects which include English, Gym, Shop Class, Photography, Art and Chemistry. You'll have to pass the tests with flying colors to unlock the coolness. I wonder how the media critics of this game will interpret this. You have to rise up against the bullies as well as keep up with your school work, Rockstar, you evil demons!